Working out and following an individualized meal plan is the best way to look and feel amazing. 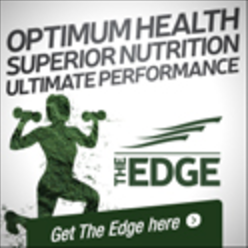 The addition of supplements gives supercharged body boosting benefits. Choosing a clean lifestyle inside and out is achievable with NUTRAPHASE products. 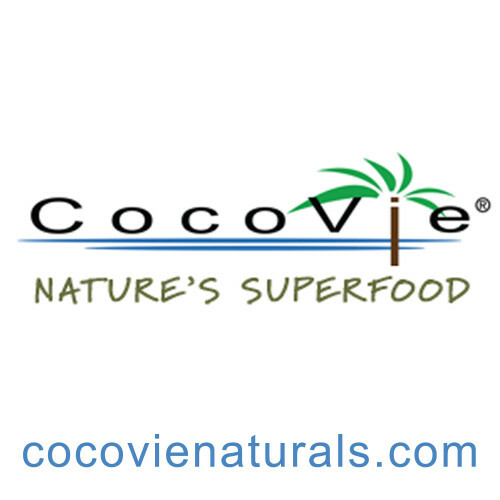 Love your self holistically by choosing products WITHOUT artificial colors, flavors or sweeteners. Breaking news! 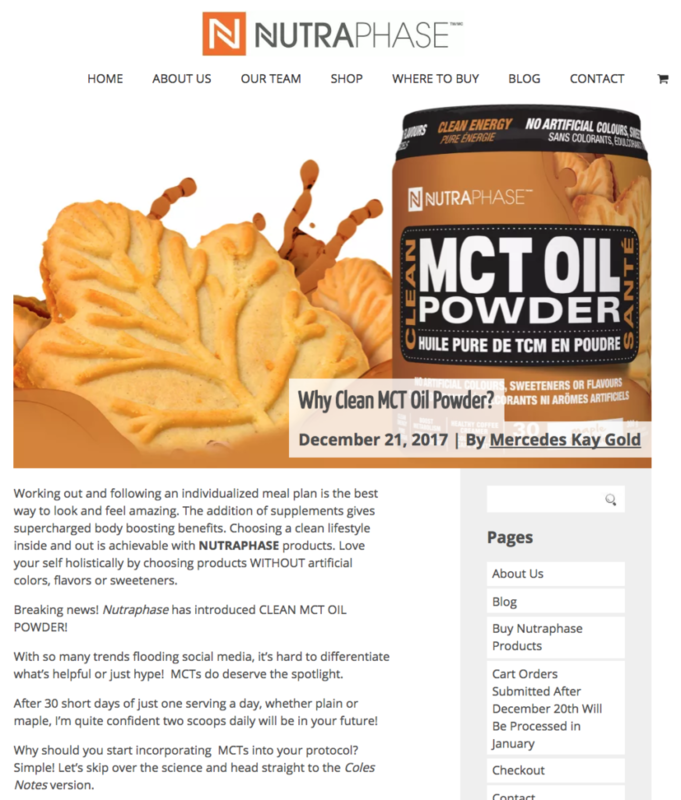 Nutraphase has introduced MCT OIL POWDER! With so many trends flooding social media, it’s hard to differentiate what’s helpful or just hype! MCT’s do deserve the spotlight. After 30 short days of just one serving a day, whether plain or maple, I’m quite confident two scoops daily will be in your future! Why should you start incorporating MCT’s into your protocol? Simple! Let’s skip over the science and head straight to the Coles Notes version. Yes, I am aware none of those fast facts are necessarily the primary selling feature for fitness fanatics! So,here we go my avid athletes and weekend warriors. After years of reading food journals, it appears commonplace for most people’s rise and shine routine to include freshly brewed coffee. Next cup, try replacing your daily dose of dairy or milk alternative with 6 grams of healthy brain boosting plant based fat. Skip the teaspoon of sugar or chemical based poisonous sweetener. Instead, add a mere 2 grams of ‘true north’s’ favorite natural sugar! Nutraphase offers maple magic. MCT’s train the body to use fats instead of carbohydrates for energy. Love to train hard without super stimulant caffeine? 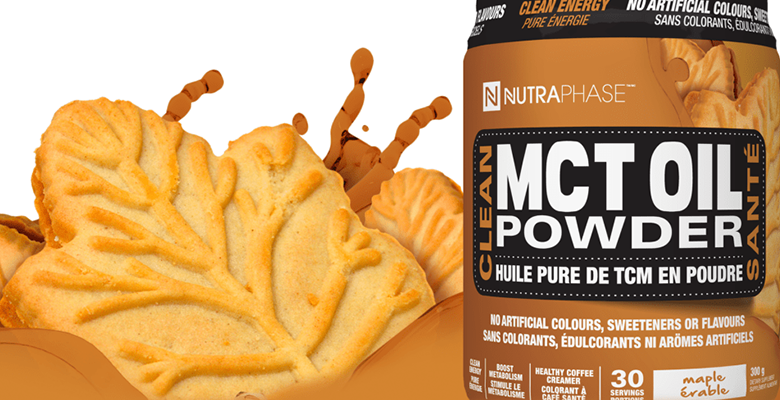 Maple MCT’s in water will STILL give you an instant energy surge. Yoga, pilates and calming meditation mornings may include tea or water with a sunny burst of lemon. Nevertheless, MCT’s stir in smoothly. They energize any practice while increasing metabolism. It’s all too easy to eat an overabundance of unhealthy fats. The western diet is overflowing with cheap processed foods containing genetically modified soy, peanut, canola and vegetable oil but many of us forget that good fats are essential. MCT’s are found in breast milk for a reason. Different forms of dairy contain MCT’s but organic grass-fed butter is not on a Vegan diet! Fats are essential for the creation and maintenance of hormone balance. MCT’s are the answer. One scoop of Nutraphase’s plain MCT’s hides without a trace but gives the body a nudge, quickly kicking you into super hero action. With 6 grams of fat, 2 grams of fiber and 3 grams of carbohydrates, all 56 calories are quickly metabolized and used for energy. Pairing MCT’s with fat soluble vitamins is flawless timing. When Vitamins D, E. A and K are consumed with MCT’s they are quickly transported to the liver and stored for later use. MCT’s also contain ant-bacterial and anti-viral properties! MCT’s are a key part of following a ketogenic diet. Just in case you aren’t savy, “Keto” is a low-carb high-fat diet. By replacing carbohydrates in the diet with fats, the body switches into a metabolic state referred to as ketosis. 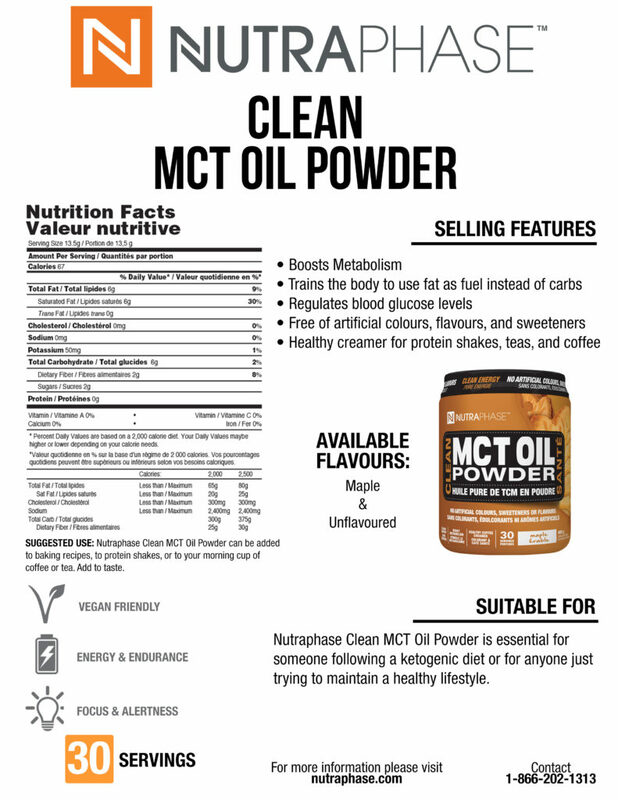 MCT’s are a healthy “keto” friendly fat. Following a ketogenic diet can be helpful for speedy weight loss, diabetics and epileptics. MCT’s would be an integral part of the meal plan. Healthy fats are required for the creation and maintenance of hormones. With over 50 hormones that control sleep to reproduction to metabolism, it’s no wonder an unhealthy diet can equal health chaos. So one more time for anyone training: MCT’s are an amazing source of energy as they are used immediately and not stored as fat! My super tasty low carb treat was rolling almond butter, coconut oil, cocoa, maca and NUTRAPHASE MCT’s into a ball for my pre-workout snack! Happy Healthy and always Holistic…. *Fats that Heal. Fats that Kill by Udo Erasmus is an amazing read that I have consulted, used, practiced and preached. It’s a must purchase for anyone who wants to know how eating the right fats will change your life. This entry was posted in Blog and tagged MCT OIL POWDER, Mercedes Kay Gold, NUTRAPHASE, Nutritionist, Personal Trainer. Bookmark the permalink.